The other day my husband came in from the garden and instructed me that I needed to start making more recipes with tomatoes. Our garden has been exploding with tomatoes and we are running out of friends to share them with. 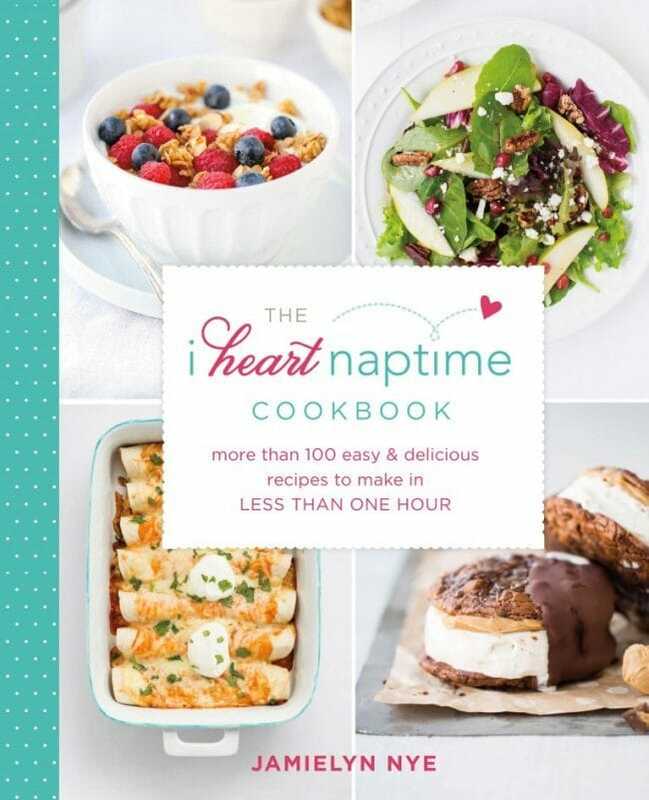 Fortunately for me, and my husband, my friend Jamielyn’s new cookbook, The I Heart Naptime Cookbook arrived in the mail. I couldn’t wait to try a lot of the recipes but decided given my current tomato situation that the Caprese Garlic Bread was at the top of my list. 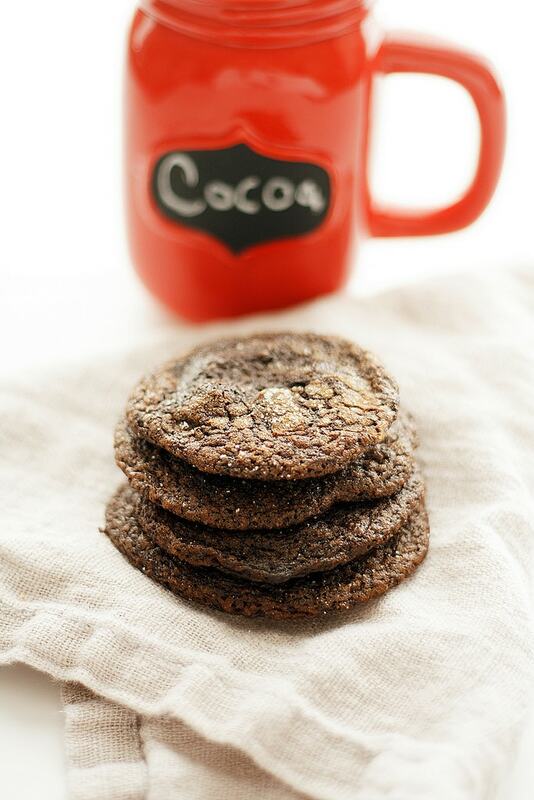 The cookbook is full of amazing recipes that all take under an hour to prepare. 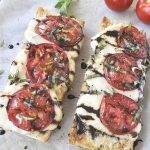 Caprese Salad is a favorite summer salad and I am never one to pass up a slice of garlic bread so this Caprese Garlic Bread was pretty much a match made in heaven. 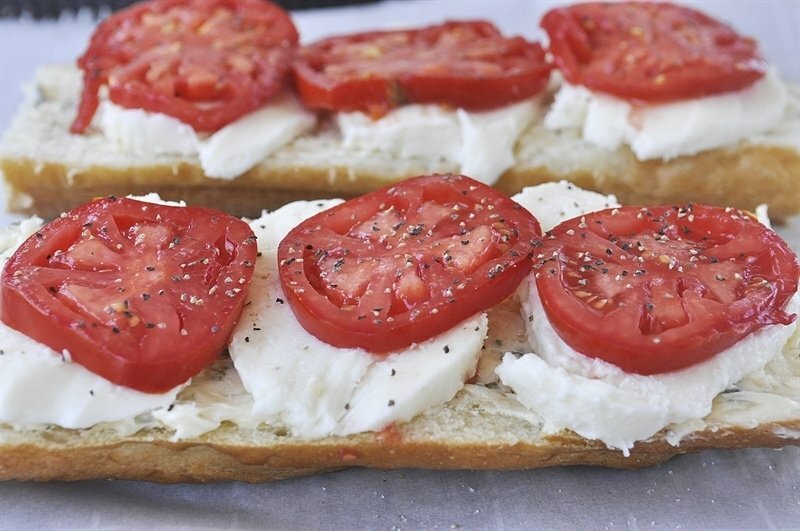 The bread is spread with layer of garlic parmesan butter and then topped with slices of fresh mozzarella and fresh tomatoes. 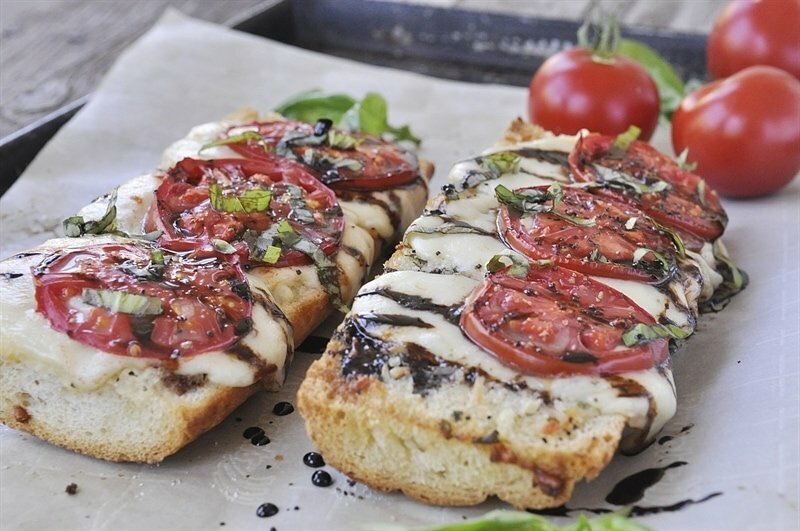 Bake the bread for about 15 minutes and then sprinkle with some fresh basil and a drizzle of a yummy balsamic glaze. Oh my! This stuff is delicious!! 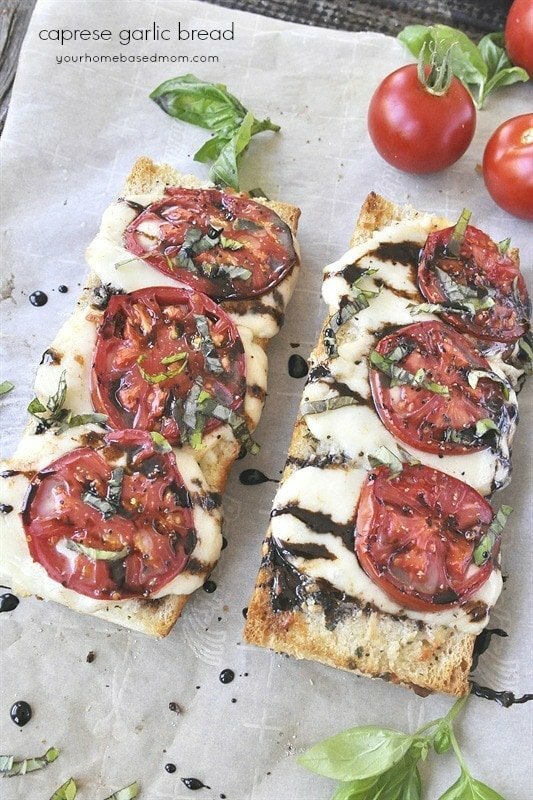 I can’t wait to work my way through more of Jamielyn’s recipes but in the meantime, I’m going to keep making these Caprese Garlic Bread with all those tomatoes in my garden!! Preheat oven to 400 degrees F. Line a baking sheet with aluminum foil or parchment paper. Cut the bread in half horizontally and place on baking sheet, cut side up. In a medium bowl, sitr together the butter, Parmesan, garlic, garlic powder, parsley and a pinch each of salt and pepper. Spread the mixture on top of the bread. 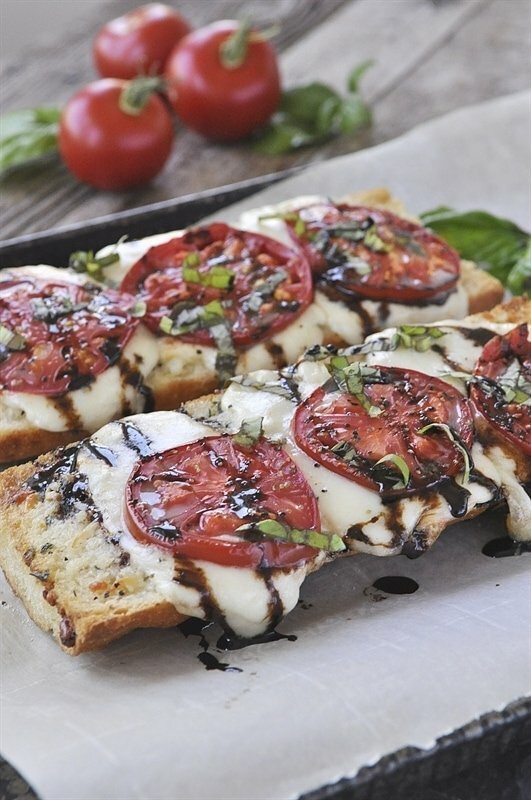 Arrange slices of mozzarella on top of the bread and then top with tomato slices. Meanwile, in a small saucepan, bring the vinegar to a simmer over medium heat. Stirt in the honey. Simmer for 3-4 minutes or until the vinegar has reduced by about half and has the consistency of a thin syrup. 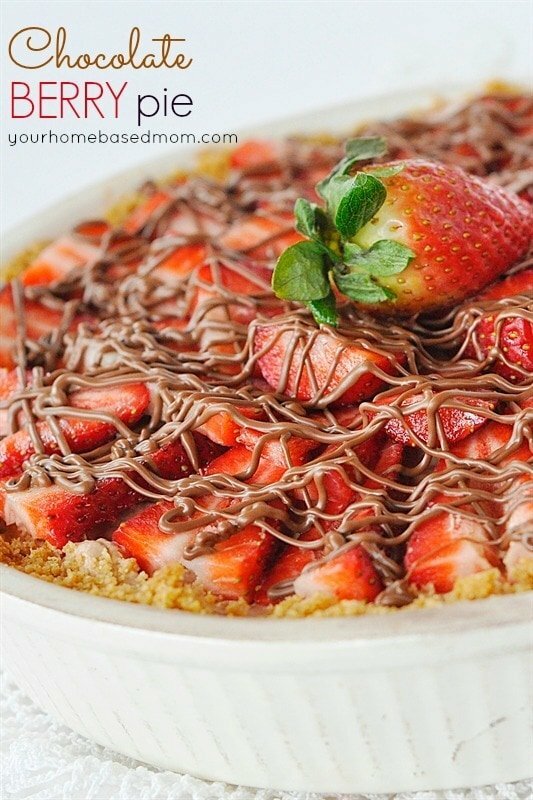 Remove from the heat and place in a small bowl. It will thicken as it sits. Remove the bread from the oven and let cool for a few minutes. 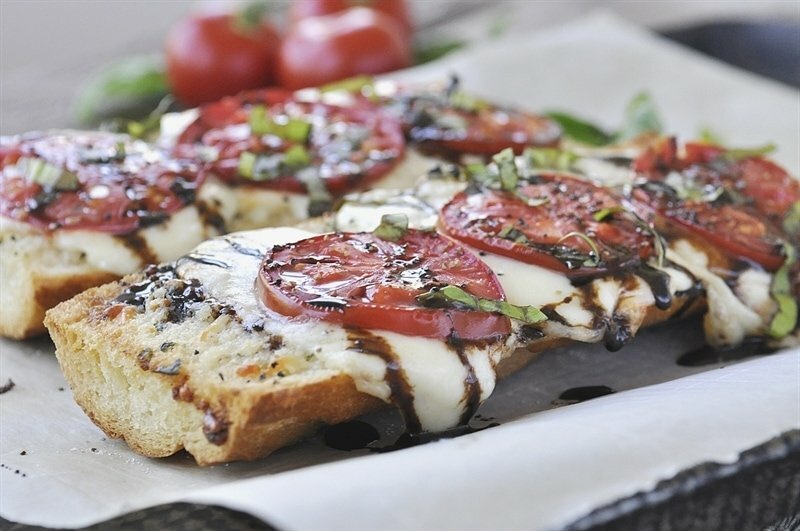 Sprinkle with the fresh basil and drizzle with the balsamic reduction. 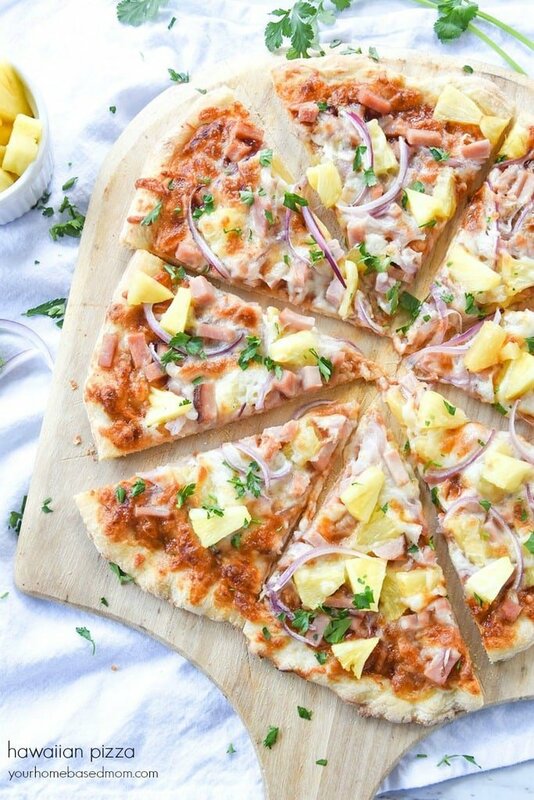 Cut the bread into two inch slices and serve hot.